Eliot Peper. Cumulus. CreateSpace Publishing, 2016. 216 pp. $10.58, Paperback $4.99, Kindle e-book. More often than they’d like, I talk with my kids about the privacy digital media encourages them to forsake. Their fingerprints access their phones. Their phones track their whereabouts. Their photos – taken with their phones, sent to social media sites using their phones –document much of their activity. I worry they’re too cavalier about giving away the kinds of liberties I grew up fiercely protecting. They nod, glance at their pinging phones, calling to them from the counter, and wait for me to finish. A friend reminded me recently that our kids are digital natives. We – the generation born before this tech explosion – are the digital immigrants. For us this lexicon is, and will always be, a second language and a constantly changing cultural frontier. Admittedly, I’m a bit of a Luddite. Give me a real book I can hold in my hands, a hand fork for weeding, or a walk in the woods where there’s no cell service, and I’ll be utterly content. Someday, these things I love – what my son calls my “digital resistance” – will be curated by future archeologists and historians who will puzzle over our curious artifacts and notions. 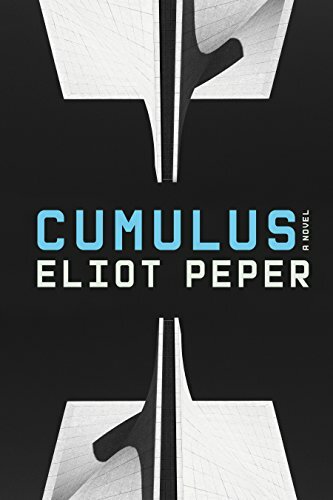 Eliot Peper’s novel Cumulus presents the portrait of a possible road ahead in which technology has replaced people-power. Self-driving cars called the Fleet have erased the need for car ownership, except among the very few “Right-to-Drive” advocates. In the spirit of Orwell’s Big Brother, Peper’s technology is used for convenience and control. Privacy is nonexistent. Peper’s future Bay Area is a landscape where the Greenies occupy The Green Zone, made plush by ease and the latest gadgets that hermetically seal them away from what is distasteful – poverty and the the human struggle beyond the wall. Outside of this bubble is the Slums, and the Fringe is the purgatory between them, full of fallen away Greenies, students, and artists. There’s a cultural war born from this economic gap on its way at the outset of Peper’s dystopic thriller. Protagonist Huian Li’s mission is to bridge the divide and deliver to society a better humanity through Cumulus – the name of her company and the technology she believes the world needs. In the novel, Peper is more vague about Cumulus than he should be given the space it occupies in the narrative, but a reader recognizes how overreaching ambition makes Huian hubristic, blind to the world, and vulnerable. Huian’s carefully tended Cumulus is both advanced and dismantled by Graham Chandler, her right hand man, a trained ex-special intelligence spy who uses his talents to enact revenge rather than safeguard Huian’s progress for the common good. His diabolical plans and his power-mongering look an awful lot like the modern acts of the desperately disenfranchised. Running up against Huian and Graham is the novel’s other plucky protagonist, its archeologist, Lilly Miyamoto, the young interloper who experiences the world through the lens of her analog camera and her penchant for driving the 1977 Land Rover of her social justice lawyer friend Sara. A keen-eyed loner, Lilly makes ends meet photographing weddings and developing the film herself for “Greenies willing to fork out top dollar…to document their adventures in a format rendered cool by its obsolescence.” She dreams of taking pictures that matter more and of saving enough money to travel the world. The narrative landscape of Cumulus is flecked with a series of entanglements that keep it running in the way of thrillers – a psychologist who is blackmailed into divulging secrets from his clients’ confidential sessions, a young entrepreneur who is blackmailed into giving over his digital invention, a gang who rises up and fights back against the few who lord over resources. Lilly’s analog camera becomes the tool for truth-telling, which she uses to try and solve her friend’s murder and the mysterious way her phone seems to have a mind of its own. To ferret out the truth and solve the crimes, Lilly must rely on artifacts of the old world: her camera, street smarts, common sense, face-to-face relationships, and a copy machine. Lilly’s actions are an answer for Huain’s insistence earlier in the novel that technology is the “only scalable tool available to help shape a better future.” Indeed, Peper’s story reads like a cautionary tale not to take technology too far or, at least, not to let it subsume some of life’s other simple pleasures in the relentless push for progress. Cumulus isn’t without flaws. Peper’s stilted dialogue, somewhat clichéd characters, and management of time and scene indicate a writer newer to the craft. While the pacing and plot rip along and characters get what they deserve in a way you see coming too early, a reader is never clear on what, exactly, Cumulus will do or be for humanity beyond Huain’s sweepingly general proclamations. Graham’s one-note calculated revenge resembles so many other villains of fiction who’ve come before him. And the landscape, for my part, might have been rendered in much more detail – what does, after all, the environment look like when its inhabitants have become obsessed with being insular? Still, it’s summer, a time for dealing with those relentless weeds in the garden and tackling the stack of books reserved for longer days– some classics, some plot driven. Among that stack was Cumulus, which I read in my hammock on a summer afternoon recently. I left my phone inside, forgot about the weeds in the nearby garden, sipped the lemonade I’d made with my own two hands, and enjoyed a character whose simple, fierce insistence in doing things for herself saves a whole community from themselves. Image & bio courtesy of the author’s website. 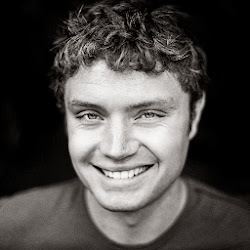 Eliot Peper is a novelist and strategist based in Oakland, CA. He writes fast-paced, deeply-researched stories with diverse casts that explore the intersection of technology and society. His fourth novel, Cumulus, is a dark, gritty, standalone science fiction story set in a near-future Bay Area ravaged by economic inequality and persistent surveillance. His first three books constitute The Uncommon Series, which has attracted a cult following in Silicon Valley and is the #1 top-rated financial thriller on Amazon (think Panama Papers). He just published and released his fifth novel, Neon Fever Dream. He’s helped build numerous technology businesses, survived dengue fever, translated Virgil’s Aeneid from the original Latin, worked as an entrepreneur-in-residence at a venture capital firm, and explored the ancient Himalayan kingdom of Mustang. Laura M. Gibson hails from Idaho, where she tends a tiny urban farm, lives in a log cabin, and helps families navigate the college admissions journey. Her fiction and essays have appeared in a number of journals, among them Flyway, Carve, and The Sun. She has an M.A. in English with an emphasis in Creative Writing from Arcadia University, and a B.A. in English Literature with an emphasis in Secondary Education from Humboldt State University. She writes about nature, family, and stories at www.lauramgibson.com.